Afterward, she said she wanted a do over and I talked to her about how there was only one chance, that she’d have to wait for next Sunday to go again. 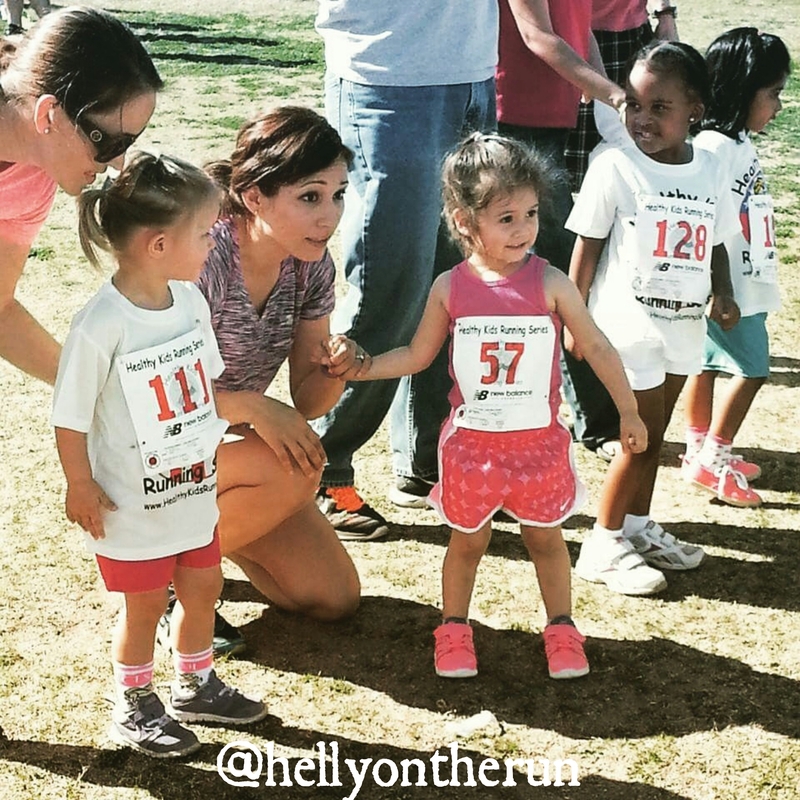 I took the opportunity to show her pics from that day’s race and explain how the kids in the pictures were running by themselves, without their mommies. She seemed to understand how a race was meant to be run alone. I asked her, “Do you think you can run by yourself?” and she was very certain that she could. 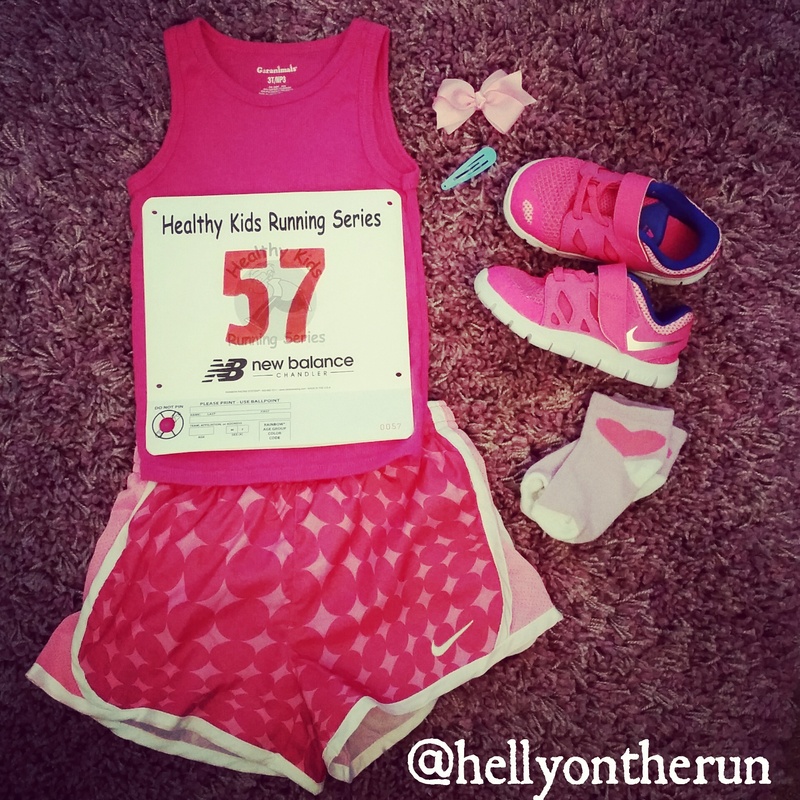 On Sunday, we picked out the running outfit. It was all about the purple and she was very adamant about wanting big bow. She also wanted to wear shorts like mommy so she wore the same pink shorts as last time. We arrived at the race right before the start time. The 3 p.m. start was a hot one so we didn’t want to get there early and stand around in 93 degree weather. My husband and I walked our daughter to the finish line to show her where she was running to. We practiced running through the line and she loved it. Then it was time to gather around the start. Daddy kissed her good luck and told her he’d be waiting. 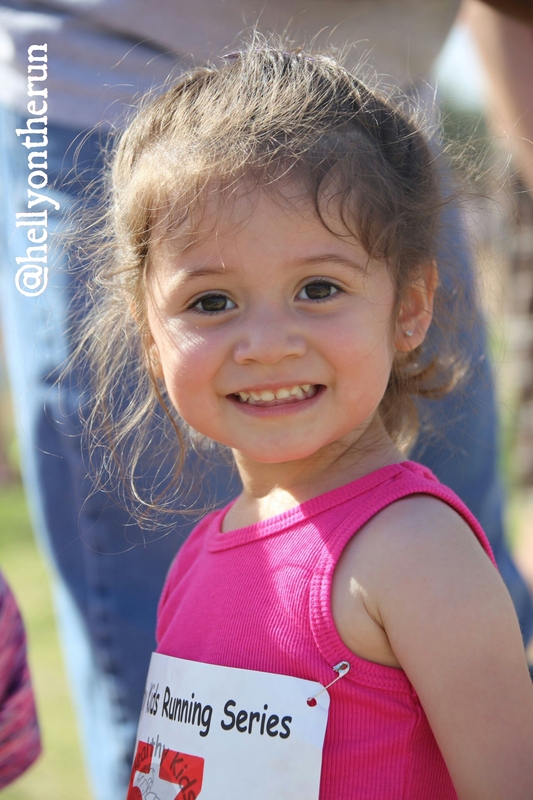 My daughter takes a break from racing next weekend so you’ll have to anxiously wait two weeks for her next race update 🙂 She turns three on Thursday and is having her big bash on Saturday! –Do you train for all races or just particular races? –Besides following a training plan, how else do you prepare for a race? No Friday Funday for me, I’m still sick. 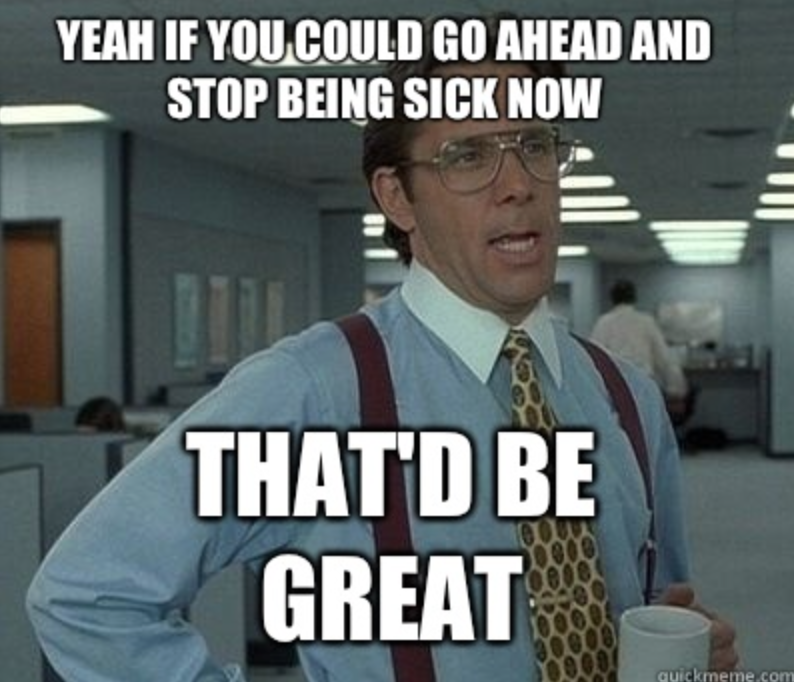 It seems to still be bronchitis related as my cough is ever apparent and my voice is still on Spring Break. I’ve even broken out the good ‘ol microphone at work so that I can still teach–this whispering, rasp I’v got going on ain’t cutting it. I’ve made an appointment with my doctor on Monday to hopefully stop this nonsense. You know things are getting serious when I call the doctor. So, no running. Normally, I’d throw caution to the wind and still run, but I really, really want to get better. And like for real better. I’ve been doing some stretches and floor exercise videos–nothing to crazy as my body is feeling this beat down of sickness, but something daily to make me feel better. Paranoia sets in that all the running/training you’ve done is going out the window you know? –How do you keep things going while sick? Sorry I’ve been MIA–It seems I needed a week off from my week off. Two weeks ago was my Spring Break and I enjoyed it so much I needed a recovery week lol! Before I recount any running I’ve been doing, I first want to tell you about someone else who has been running. 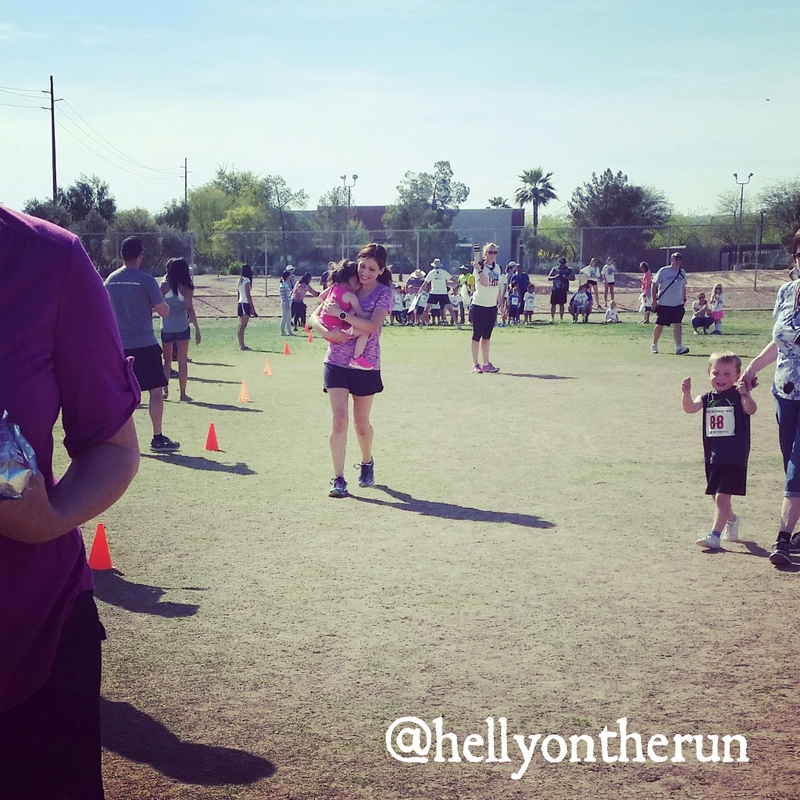 Yep, I signed her up for a local Healthy Kids Running Series that consist of 5 races in the span of 6 weeks (we get Easter weekend off). It’s a 50 yard dasher that’s organized by age groups so my daughter is in the 2-3 year olds (seriously though, how cute is that?). The race is also separated by gender. I wasn’t sure what approach to take: to hype the race and get her excited or downplay it like it was no big deal. I decided on the former as I didn’t want her to feel pressured or like this was a huge deal and get her nervous. 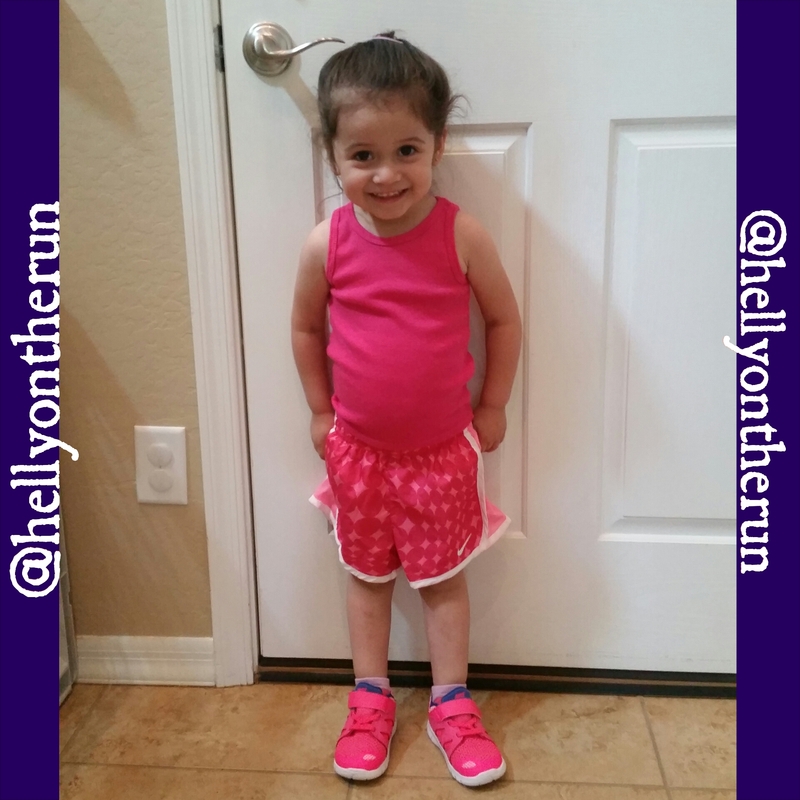 On Saturday night, I asked her if she wanted to run the next day and she squealed with delight! So of course we went straight to the closet to choose an outfit. I didn’t mentioned anything about an actual race though. Just kinda kept it low key. 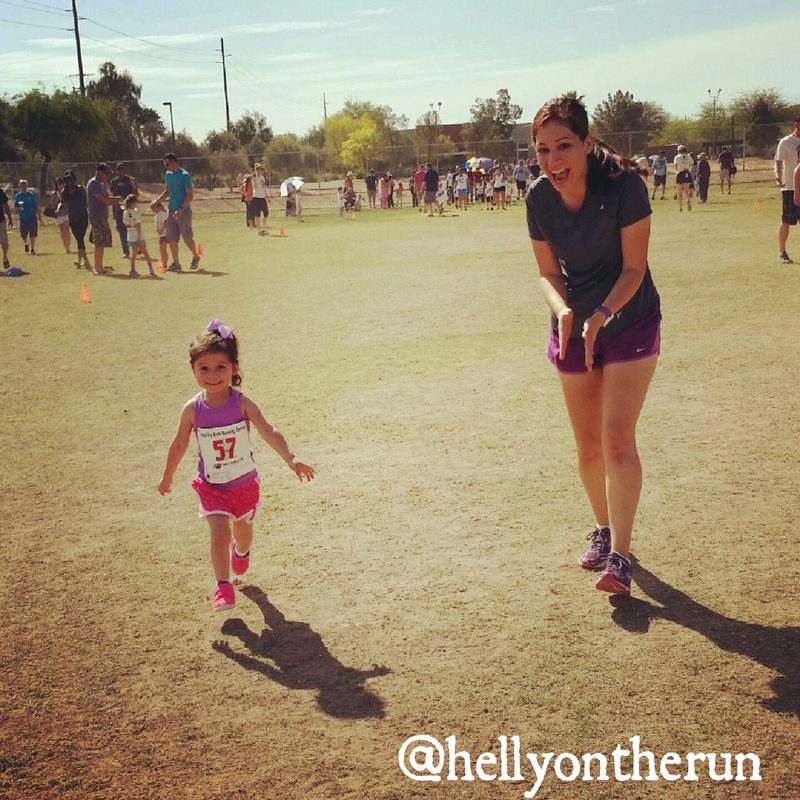 I honestly wasn’t sure what to expect from her as she always gets excited about mommy running but she was seriously spazzing about her doing the running. I wanted to share and join in on the excitement but was nervous about making it into too big of a deal. In retrospect, I think I should have prepared her a little more. We arrived at the race location just in time (3 p.m. which is my only major complaint about this series. It’s Phoenix. It’s hot. It was already 90 degrees at 3). Anyway, there were a lot more people/kids than I expected and then after a few minutes of waiting, organizers began grouping kids by age group. My daughter’s group went first. She was still super pumped at this point as we walked towards the start line. She kept repeating, “I run fast! 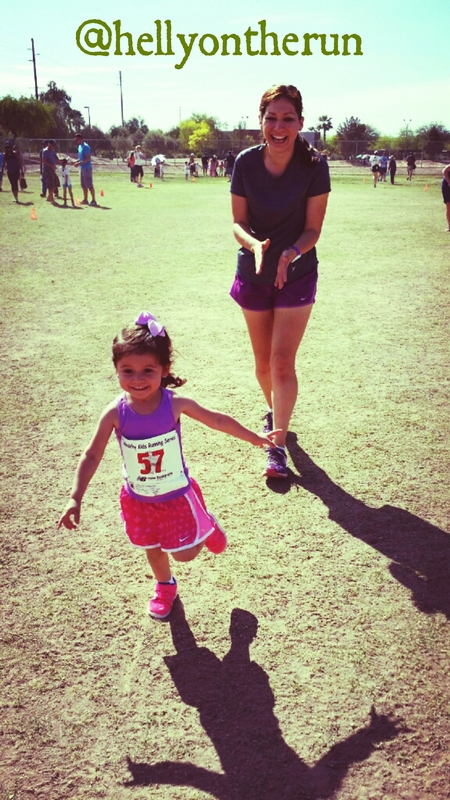 I run fast!” I knelt down next to her to point her in dad’s direction–who was at the finish line. After our chat, I started to say my good byes but as soon as she realized that mommy wasn’t running with her, my daughter was not having any of it. Not. At. All. I tried telling her mommy would run next to her on the sidelines but after the boys had gone and she saw they were solo, she refused to move an inch. The whistle blew for the girls to go and they were off. Except my daughter. Two girls stumbled over each other and fell and when my daughter saw that, it was over for real. In tears, she threw herself in my arms and said she wasn’t going. She didn’t want to. I consoled her and told her it was okay, that we were going to do it together this time. So we did. We crossed the finish line hearing dad and grandparents cheering loudly and it was then that she lifted her head up and smiled. Of course I would’ve liked for her to have run it by herself, but for her first time, her first race, I felt it was a success. She experienced the race atmosphere, which is definitely daunting at any age, and I know that as she acclimates, it’ll become a more familiar environment. –Were you involved in any athletics when you were young? What was your first sport experience? –Do you get pre-race jitters?